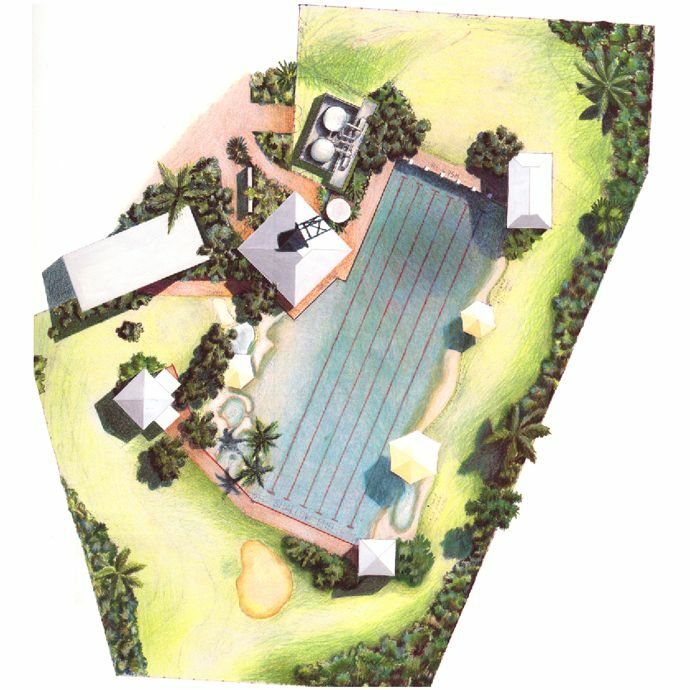 This new 50 metre, six lane public pool in the Central Queensland town of Blackall featured the first integrated beach edge treatment to a 50 metre pool while maintaining FINA approval to host regional competition. 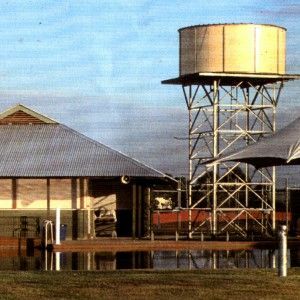 The architectural style is borrowed from the local vernacular and the pool detailing and shape are inspired by and recollect the billabong. 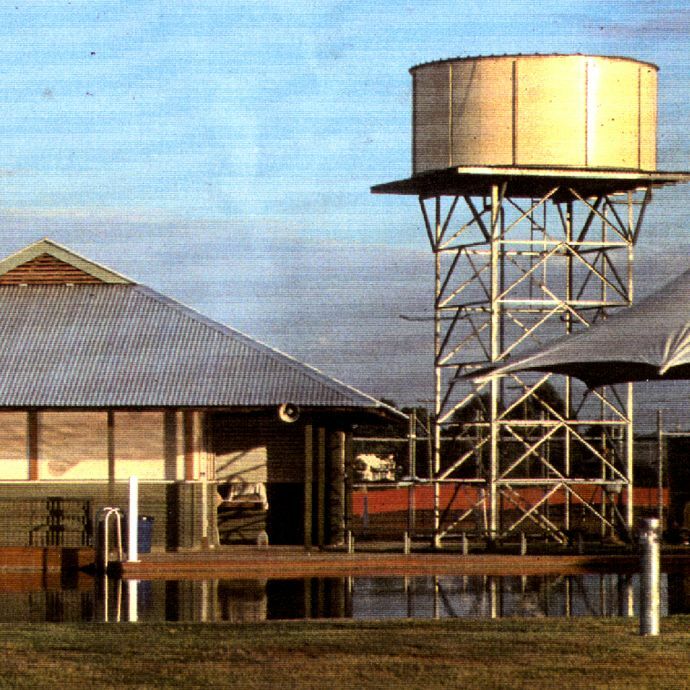 This facility won equal first prize in the National Heart foundation, 1992 award for the best public facility in Australia.